Psychiatrist Dr Pat Bracken reflects on the paradigm shift towards the recovery approach in mental healthcare and the central role of the creative arts in this. The currently dominant paradigm, or framework, through which we understand mental health problems, is a medical one. When we experience anxiety, depression, voices, suicidal impulses or states of disorganization, we are encouraged by family, friends and the media to see a specialist, get a diagnosis and a prescription for medication or therapy. Mental illness is seen primarily as a technical challenge. It is understood as something that emerges from faulty processes in the brain or the mind, something that can be modelled with the same sort of models that we use in the rest of medicine, as when we grapple with endocrine problems such as diabetes. Such models are developed by experts in psychiatry or psychology, and innovation in treatments are understood to emerge from university departments or research laboratories. In this paradigm, patients can do things to help themselves but this is adjunctive to the main work that is provided to patients by experts of one sort or another. While the non-technical aspects of mental health (relationships, meanings, values) are not ignored, they are of secondary importance only. While this paradigm guides the way we understand mental health problems, determines how we organise services and training courses, sets our priorities for research funding and underscores the powers invested in professionals under the terms of mental health legislation, there is mounting evidence that the basic set of assumptions upon which it is based are simply wrong. Empirical research on where mental health problems come from, and on what actually works to get people well, overwhelmingly points to the primary importance of relationships, meanings and values. If we are to be truly evidence-based in our approach, we will have to face the challenge of questioning the dominant paradigm and effectively reversing our understanding of what should be at the heart of our work. This has echoes of that other great paradigmatic reversal in history when Copernicus asserted that the earth revolves around the sun, not the other way around. In fact, mental health service users have already started to do this. What is known as the ‘recovery approach’ emerged directly from service users challenging the understanding of their problems that they had been given by professionals. In the past 20-30 years, many people who were told that were suffering from schizophrenia, or some other form of serious mental illness, and told that their best hope was simply to ‘keep taking the tablets’ and passively accept the guidance of the professionals, managed to find ways of changing their lives substantially. Many found that they were able to exit mental health services altogether. Some did so with the help of therapy or medication but others found paths that led them to a reality of recovery that did not involve mental health services at all. Work, relationships, the creative arts, recreation, peer support, religion and spirituality and a range of other pursuits have all provided the encouragement and support that people needed. Some found that services got in the way of their recovery and a number argued that they had been damaged by their involvement with psychiatry and the other mental health professions. A substantial group of these individuals have written about their journeys and now provide inspiration to their peers. The recovery approach has emerged directly from this literature and the movement that has grown around it. Its essential message chimes with the results of empirical work on how professional interventions actually have their beneficial effects. It does not represent a new model as such but instead involves an interrogation of all professional models and an assertion of the centrality of empowerment in the process of recovery. Within the technological paradigm, the role of the creative arts is supportive, an ‘add-on’ to the really important technical stuff that is done by medical personnel and allied professions. In the recovery approach, the situation is very different. This does not deny the importance of technical issues such as diagnosis, pharmacology and psychotherapy but it renders these as secondary in importance to the role played by relationships, meanings and values. Through the lens of the recovery approach, the creative arts show up as often having a central role in a person’s journey towards health and integration. I believe that there are at least three reasons why the creative arts are important in mental health work. First of all, the arts are therapeutic in themselves. Creative projects involving art, drama, poetry and music offer spaces where meanings can be generated, different roles can be explored safely, confidence can be encouraged and self acceptance nurtured. These are the essential ingredients of recovery. Secondly, training in the arts is very different to the sort of training that most mental health professionals undergo. It involves a different approach to questions of expression, confidence and authenticity. Artistic people bring a distinct sensibility to their work with mental health service users. I have come to value this greatly in the service where I work. The creative people who input to our service bring an energy, way of working and style of engagement that many service users find refreshing and positive. They are comfortable with ambiguity, open endedness and bring a different set of questions. This can have a very positive balancing effect in relation to the inputs of doctors, nurses and others who (for the most part) have a more technical form of training. Thirdly, many artists have found inspiration for their work in their own encounters with mental health problems. It would be easy to list the poets, painters, actors and musicians who have struggled with states of madness, distress and alienation. Some researchers and commentators have pointed to links between such states of mind and the psychological sources of human creativity. The exploration of such links can lead to a more positive, meaningful and ultimately more hopeful understanding of mental suffering itself. The greatest challenge facing those of us who work in mental health services in this country and internationally is to get beyond the institutional mind set that pervaded in the asylums of the past century. We have physically moved our services out of the asylums but we have yet to liberate ourselves fully from this institutional culture. The creative arts can promote positive change on a number of levels. They are an essential part of the move towards a recovery approach in mental health. 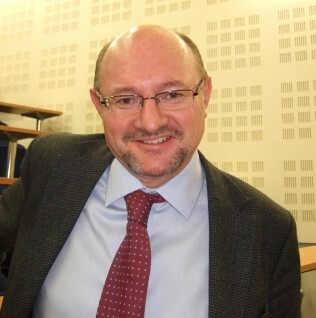 Dr Pat Bracken is currently Clinical Director of the Mental Health Service in West Cork, Ireland. He trained in medicine, psychiatry and philosophy in Ireland and the UK. He was Professor of Philosophy, Diversity and Mental Health at the University of Central Lancashire in the years 2006-2008. Pat has been to the fore in promoting the importance of ‘critical reflection’ in mental health work and was one of the founders of the Critical Psychiatry Network. Through his career he has argued for the importance of hearing the voices of service users and has argued that psychiatry cannot progress until it develops the capacity to really engage with the service-user movement. He was co-editor of the book Rethinking the Trauma of War with Dr Celia Petty, published in 1998. His own book Trauma: Culture, Meaning and Philosophy was published in 2002. With Prof Phil Thomas, he published the book Postpsychiatry: A New Direction for Mental Health in 2005. Excellent article on mental health recovery. Keep up the good work Doctor Pat. Yet another excellent article by Prof Pat Bracken ! 🙂 a leading light in Mental Health care!! Moving away from psychiatric institutional models will take a shift of gear in publics mind also. Dr Ivor Browne described our system as coercive containment of those Society did not want. It is all evident in HSE run psychiatric hospitals where medication is the primary therapy. Through the lens of the recovery approach, the creative arts show up as often having a central role in a person’s journey towards health and integration. I believe that there are at least three reasons why the creative arts are important in mental health work.